I get so many questions about natural skin care and how to find stuff that is not full of chemicals. Some raw materials take some studying up on to understand how to use and blend, or they are not always so easy to find, but there is plenty of stuff you can make yourself with really simple ingredients that you either already have in your home or that are easy to find in your local health food store. Here is one wonderful product that I use. It is very mild and can be used 1-2 times per week. 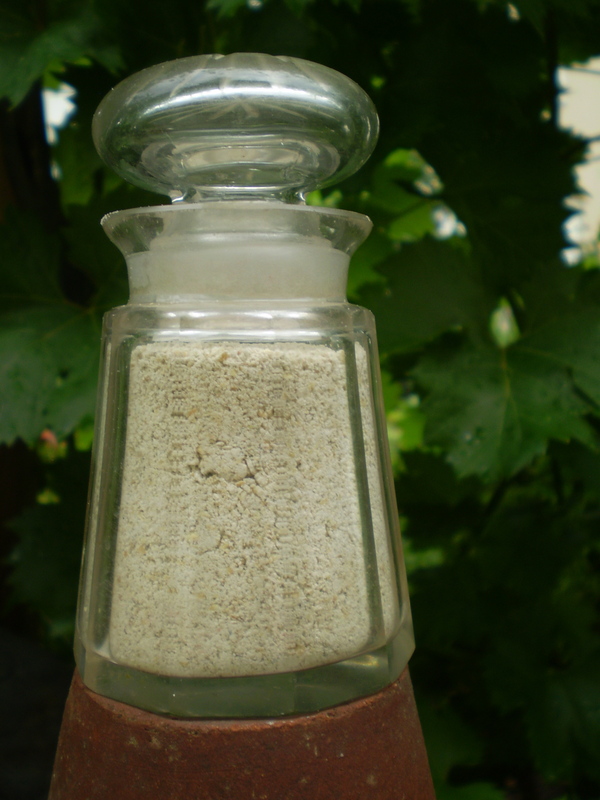 You can make up the powder and store it cool and dark in a jar with tight-fitting lid which will save you a lot of work. When it’s time to use, you just add the other ingredients to make a paste. Easy! 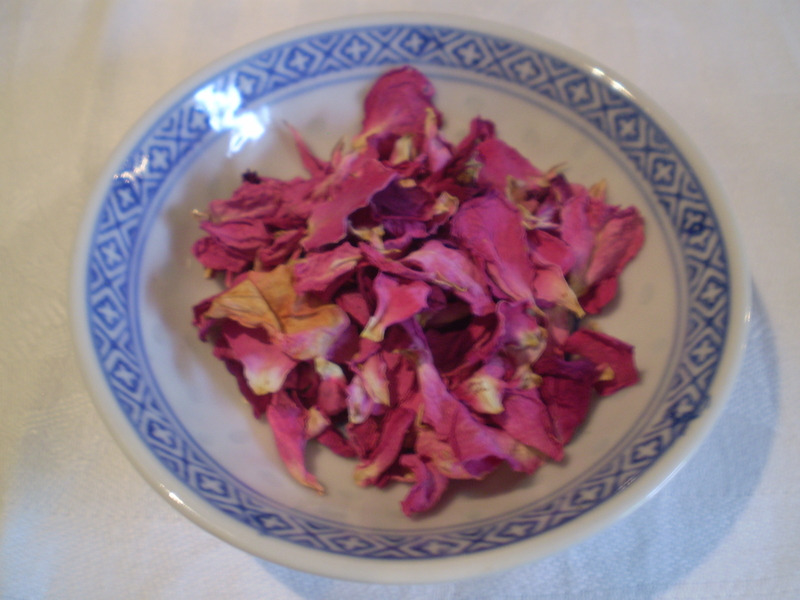 2-5 teaspoons dried lavender flowers or rose petals. If you use rose petals, add the larger amount to get a nice scent. For my blend I use 2-3 tsp lavender flowers. I prefer the lavender during the summer as it is really soothing and has a wonderful scent. Hydrosol of lavender, rose or witch hazel. If you don’t have hydrosol, you can use a herbal infusion or water. If you like, you can add a drop or two of essential oil to the finished paste (optional), I don’t because I want it really mild and the floral scent is gorgeous on its own. 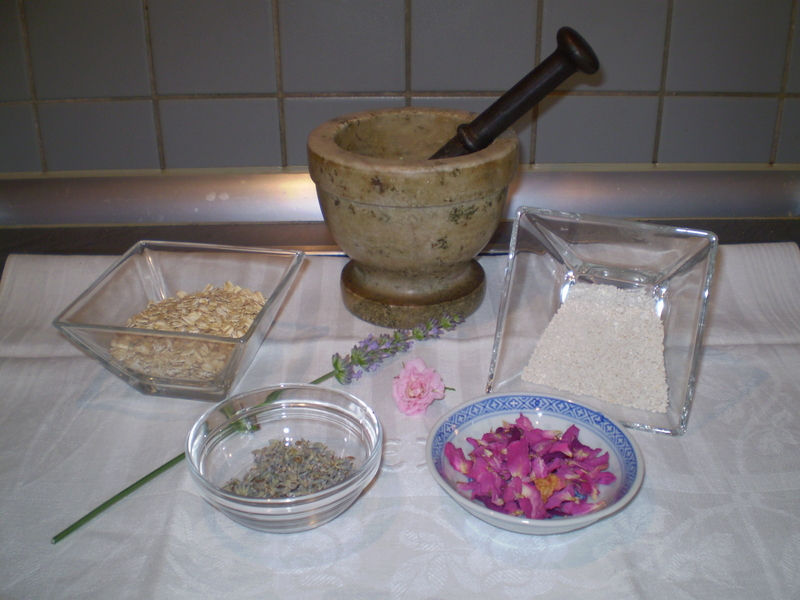 In a mixer or a mortar, crush oatmeal and dried flowers to a powder, the finer it is, the better it will spread. When it’s time for a scrub, peeling or a mask: For a facial, mix 1 tsp of the powder with 1/2 tsp vegetable oil, 1/2 tsp hydrosol, infusion or water, a few drops of lemon juice and a dash of honey. Mix it all together to a paste. If you want to use it on your whole body you need to make about 4-5 times the amount of paste. On clean, moist skin apply the paste with circular massage movements, you want to get the circulation going. This is the peeling effect. Now you can wash it off or leave the paste on for about 15 min to get a deeply moisturizing mask before you wash it off with lukewarm water. Pat dry and apply a light oil to your face to add more yummy nourishing food for your skin (sunflower, thistle, jojoba, grape seed oils are easy to get and fine for your skin). One last point; When you make stuff at home for your skin care, always use organic products. If you want your powder to look more beautiful, add some whole flowers or petals to get some colour in there.